A new player is about to shake up the market for horticultural light assimilation. MegaPhoton offers both HPS and LED fixtures. The company has been producing these for many years already – but always as private label for other brands. Now they’re approaching the market directly, with Robert de Goey as their new CEO. 800,000 – that’s quite an amount. It’s the number of complete light fixtures Megaphoton has sold worldwide last year alone. The company was founded more than 15 years ago by Dr. Jinlong Du, who holds a PhD in the field of electro engineering. Initially the company only produced the electronic ballasts for the fixtures. 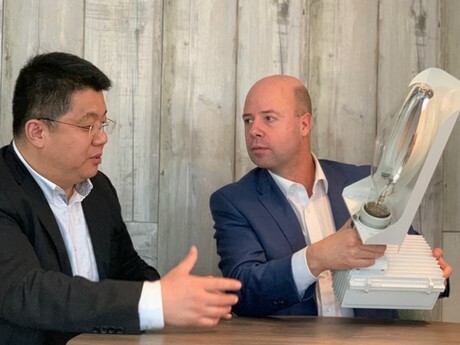 A few years ago, they bought an HPS lamp factory and started supplying the complete fixture, consisting of a electronic ballast, a reflector and the actual lamp. Since that time they’ve launched their own brand: MegaPhoton. Three years ago an LED factory was added to the business as well. MegaPhoton now employs over 700 people with one large factory and 7 sales offices worldwide. Still, they’re relatively unknown in the horticultural industry. 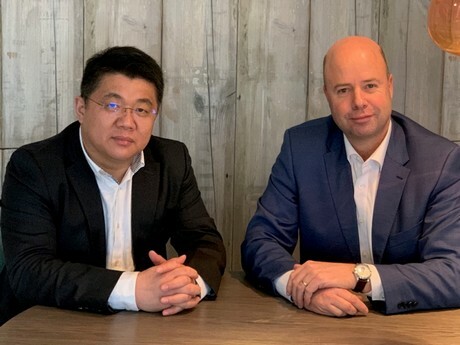 Robert de Goey will work alongside the chairman of the company Dr. Du.